Reports suggest the retailer's cut will be less than 10%. The Xbox One reveal left a lot of questions unanswered, among them what will happen to pre-owned game sales. Thanks to information let slip by retail sources we now know, among other things, why Xbox One will want to check in with home base every 24 hours; it's to see whether or not your account needs to be adjusted. 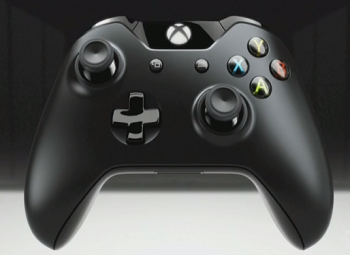 If you opt to sell a game, you can only do it at Microsoft-approved retail outlets. Those outlets will have to agree to Microsoft's terms and conditions, and sign up to its cloud-based Azure system. It's Azure that manages the transaction, and tells the home office that you've handed in your title. The title gets wiped from your account at that point. Retailers will get something less than 10% on each pre owned sale. The rest goes to Microsoft and the publisher. Prices quoted by MCV for pre-owned hover around the Â£35 mark, inclusive of the retailer's cut, so of that figure the retailer sees no more than Â£3.50. The Â£35 is the activation fee, so presumably that would be set in advance by Microsoft independently of conditions in the retail market. Stinker or classic, the price tag may be the same. When contacted by MCV, Microsoft was quick to say that "should you choose to play your game at your friend's house, there is no fee to play that game while you are signed in to your profile," but other than that was unwilling to discuss potential retail scenarios. It also leaves open the question of what happens if your friend wants to play your game on their profile. Or if three kids in the same house want to play the same game on their profiles. Given this new information, it remains to be seen whether or not retailers will be eager to fall in line with Microsoft's philosophies. Having to sign up to Microsoft's conditions, using its system , only to get a less than 10% cut, isn't going to appeal to many retailers. It begs the question why anyone would ever want to sell an Xbone pre-owned title. The source revealed that game retailers will be forced to sell second hand games at just a 10% discount on the original RRP. This news will come as a shock to consumers who are currently used to purchasing trade-in games at up to 50% of the retail value.